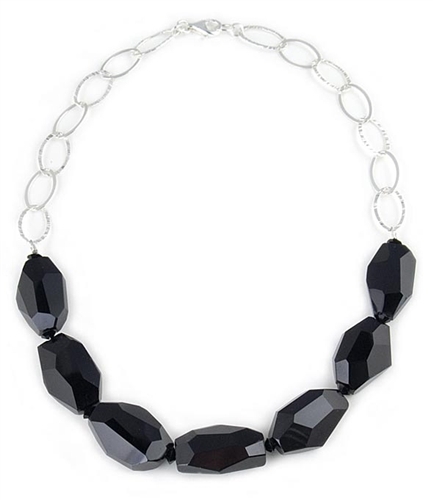 Black gemstone necklace from the "Noir" collection by Paula Rosellini. This stunning designer necklace features black faceted 25x15mm onyx semi-precious stones, black swarovski crystals and large link sterling silver chain. Chain features two types of links, hand hammered textured links and high gloss finish. Necklace measures 45.50cm (18") in total length and fastens with a sterling silver lobster clasp.